XO heavy duty bottle richly enameled and hand engraved. Extra Strength 42° alc/vol, low sugar. These are rare specially authenticated years by the French government customs and fully certified . This is a very lengthy procedure and is normally undertaken with very special vintages. Millesime 1963 has been maturing and lain undisturbed on a earthen floor cellar. The Charente river has risen and fallen close to our chai, good people have come and gone, JFK, Martin Luther King, during this period the aging process has produced a exquisite cognac with the flavors of vanilla and cinnamon and mushrooms ;a cognac that is worthy of the sixties and for you to discover. Soon to be over 41 years old. Beautiful flavor of vanilla and spices in the fine tradition of the Grande Champagne and a truly excellent example of this premier cru. The start of the 70's the period of gospel music Vietnam, Watergate and the year of Apollo 13 . Soon to be over 34 years old. 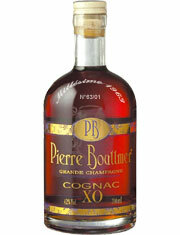 Subtle notes of vanilla from the oak aging without being heavy , light with long after taste, a very elegant cognac. The year the Volkswagen Beetle broke all its own sales records on a wave of 60's nostalgia. Soon to be over 32 years old. Light blend of vanilla with notes of cumin and coriander quite exceptional. The year of Israeli Egyptian War. Soon to be over 31 years old. A fine Grande Champagne cognac with flavors of saffron quite delicious to taste. The year Jimmy Hoffa the US labour union boss was killed. Soon to be over 29 years old. A tranquil blend of Grande Champagne traditional aroma's and bouquet with white vine flowers that would be hard to imagine. The start of the 80's and the year John Lennon was killed. Soon to be over 24 years old.